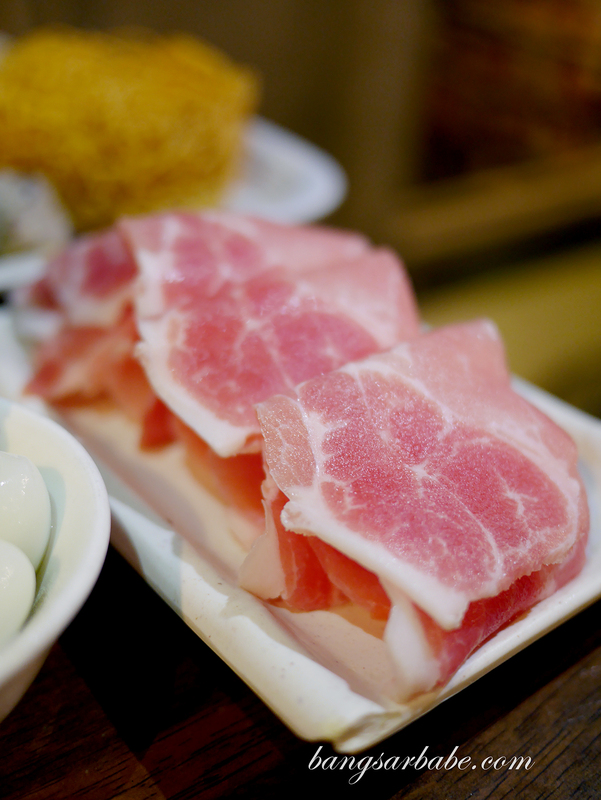 Jien and I have different opinions about steamboat and BBQ – I love anything soupy while he’s a fan of smoky-charred flavours. It’s often difficult to agree on a middle ground between these two options as the 2-in-1 steamboat/BBQ we’ve tried didn’t quite hack it. 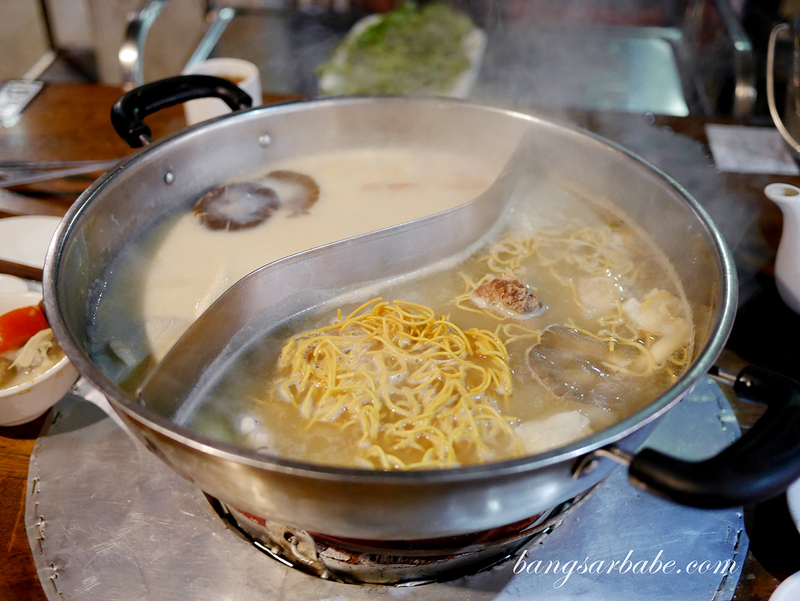 For me, the beauty of steamboat lies in the soup and fresh ingredients while Jien emphasises on the ferociousness of the charcoal fire for his meats. But in all marriages, we give and take every once in a while. Him more than me of late, since I crave steamboat more than he does BBQ. Dragon Door Steamboat in Cheras was recommended to me by a friend and since it’s been a while since I explored Cheras, Jien and I made this our dinner spot over the weekend. Getting there is not too difficult – all you need to do is key in the restaurant name in Waze and follow the direction carefully. 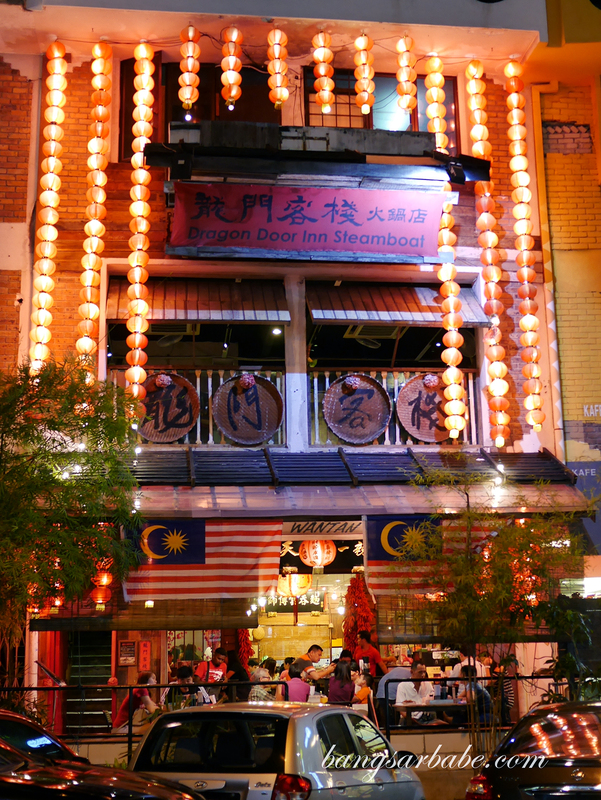 Dragon Door Steamboat occupies the first floor of the shoplot and the bottom half serves wantan noodles. 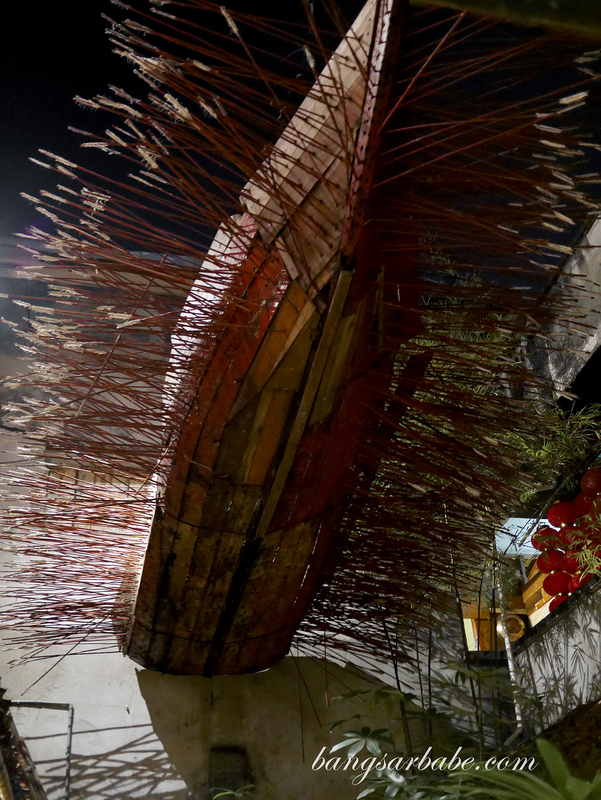 Just look for the staircase on the left corner and you’ll find yourself in a courtyard set-up. I like the ambiance here as it reminds me of what Hong Kong dining feels like, but three times more spacious. 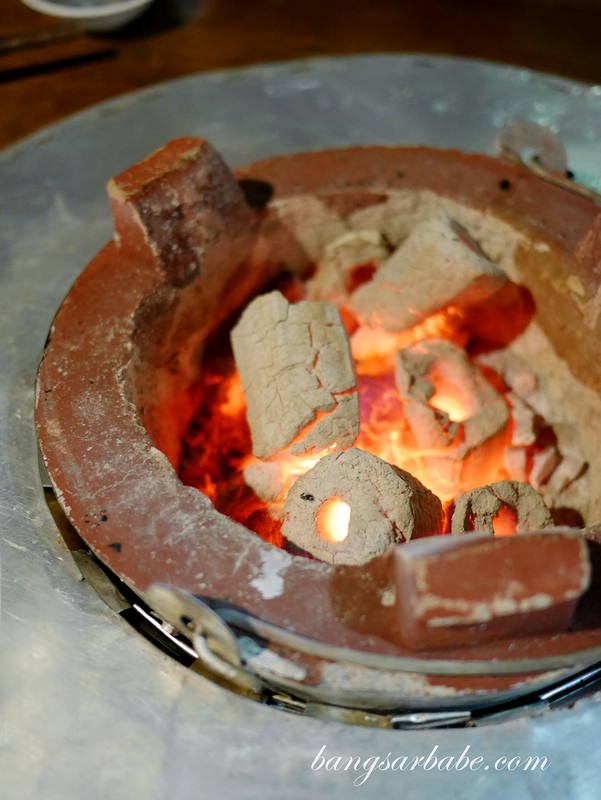 Expect to sweat when you’re eating at Dragon Door Inn Steamboat as they use a charcoal pit to heat up the pot and cook the ingredients. 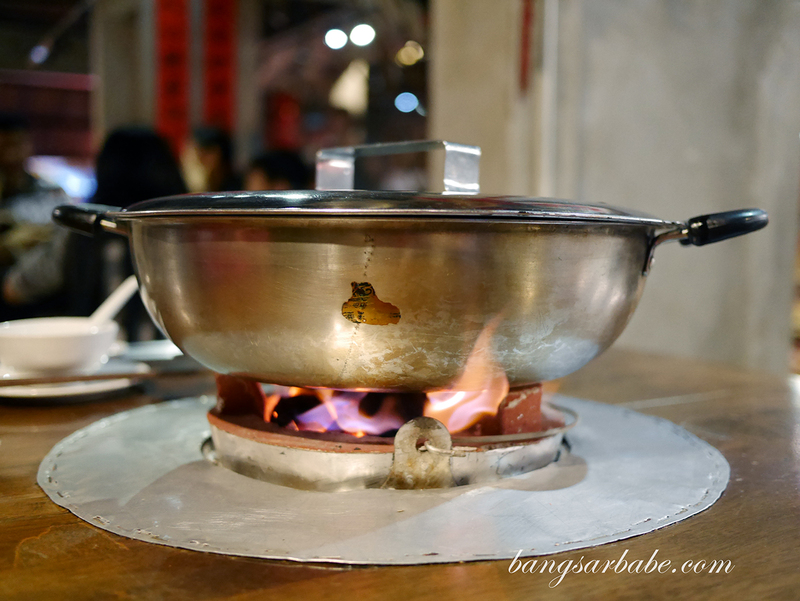 I found this concept unique as most steamboat places use a conventional gas stove to do the cooking. 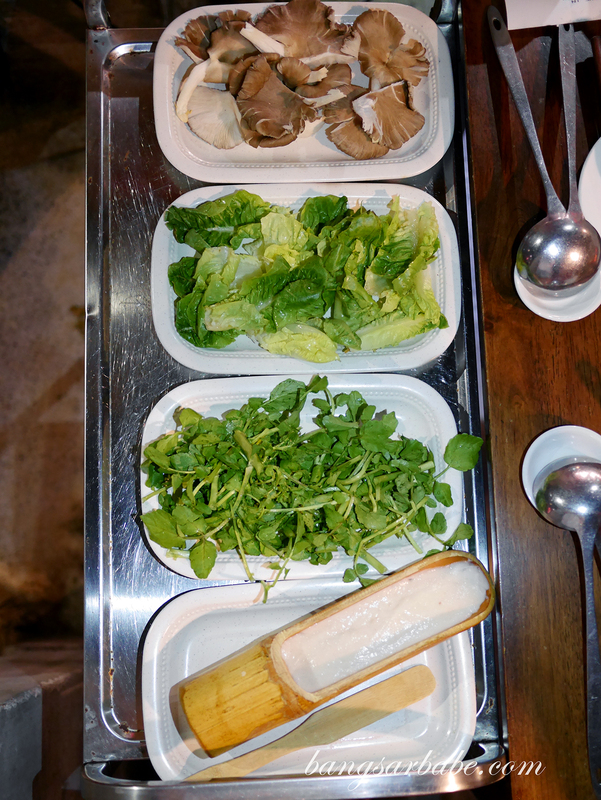 You get four types of soup to choose for your steamboat – we opted for the pork bone soup and the Hong Hom Pot Soup (fish head soup). 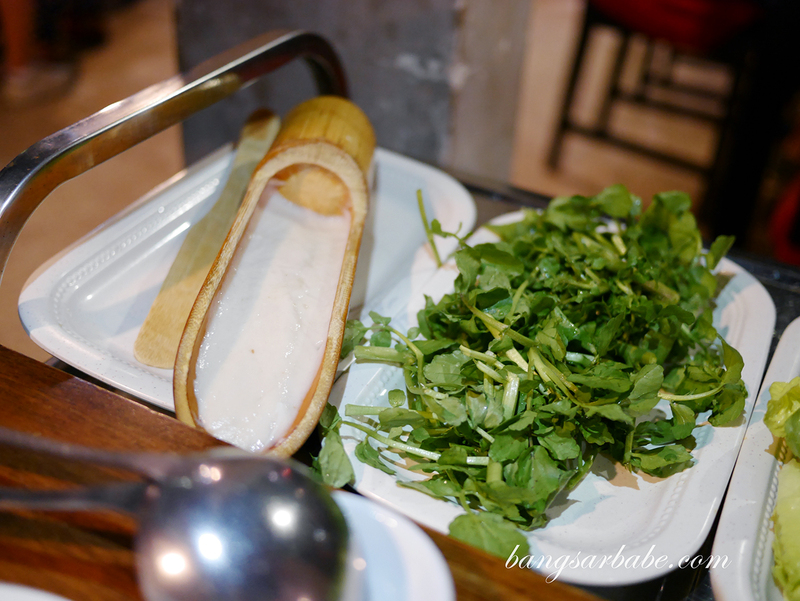 The latter tasted similar to what you’d get when you order fish head noodle, which was quite tasty. 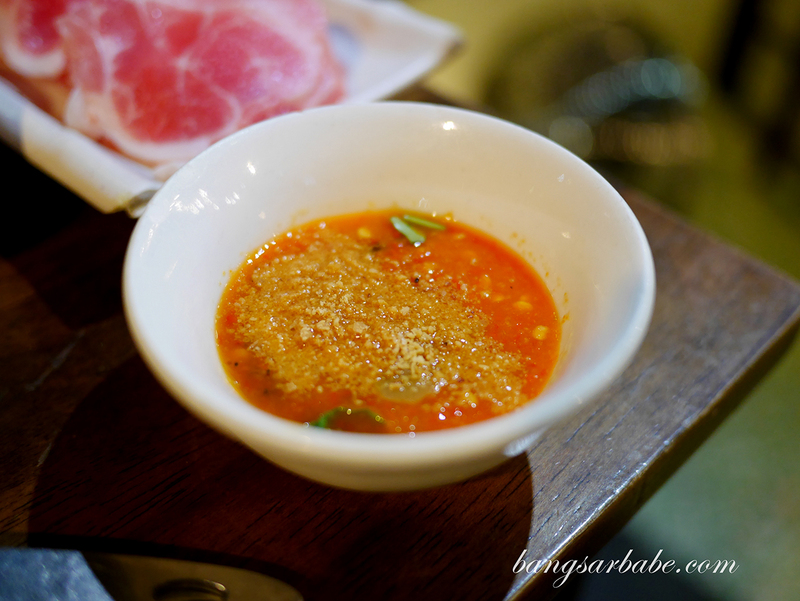 I found the pork bone soup milder than the ones from Harbour Steamboat and also Hong Kong Hot Pot but this one was tasty in its own way. Not as rich compared to the other two. 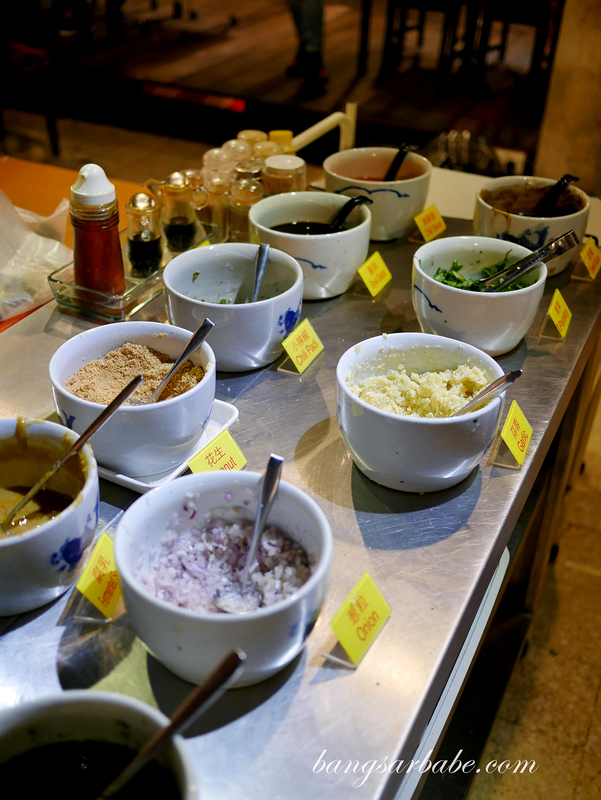 There is also a sauce counter for you to mix your own dipping sauce so depending on your skills, you either get a well-balanced sauce or one that’s overly spicy. I’m not expert so I usually leave the mixing to Jien, who’s quite good at creating his own blend. 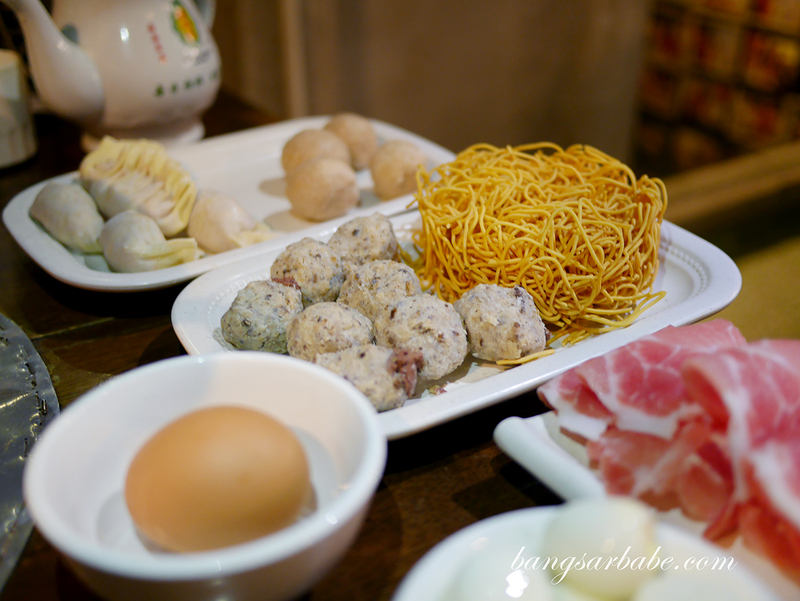 Between the two of us, we ordered a portion of special pork slice, dumpling, prawn wantan, mushroom pork ball, fresh fish meat, bomb meat ball, abalone mushroom, watercress, yee mee and quail eggs. Portion was quite good so what we ordered was more than enough for two, maybe even good enough for three pax. 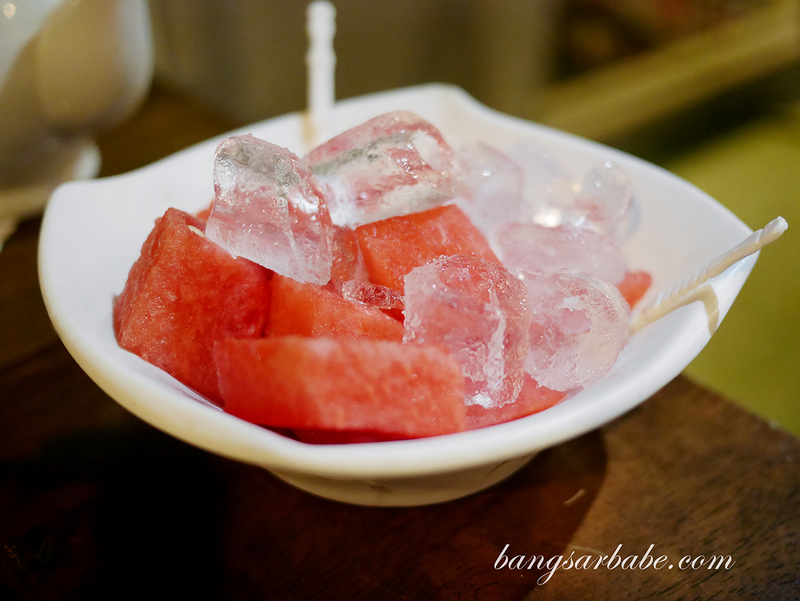 The ingredients were alright – they didn’t have that many premium items nor did they offer a lot of handmade items. That said, I found the handmade prawn wantan and dumplings quite alright. 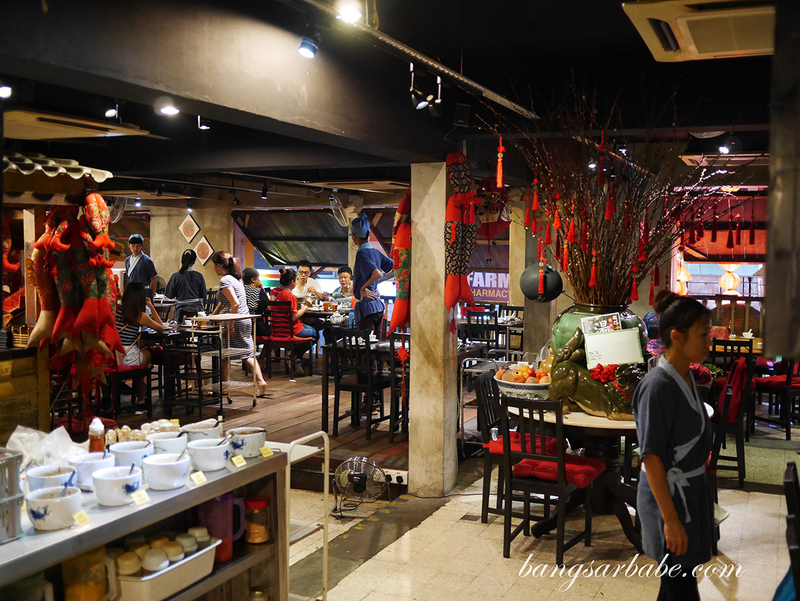 It gets more affordable if you were to dine in a large group so expect to pay between RM35-45 per head if you dine in a group of 6 or more, and RM50-60 per head if you’re dining in twos or fours. 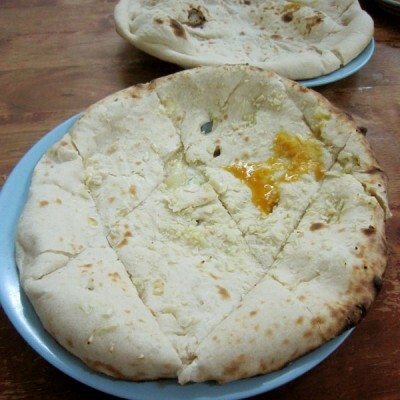 This also depends on the capacity of your stomach – obviously my food bill was higher. 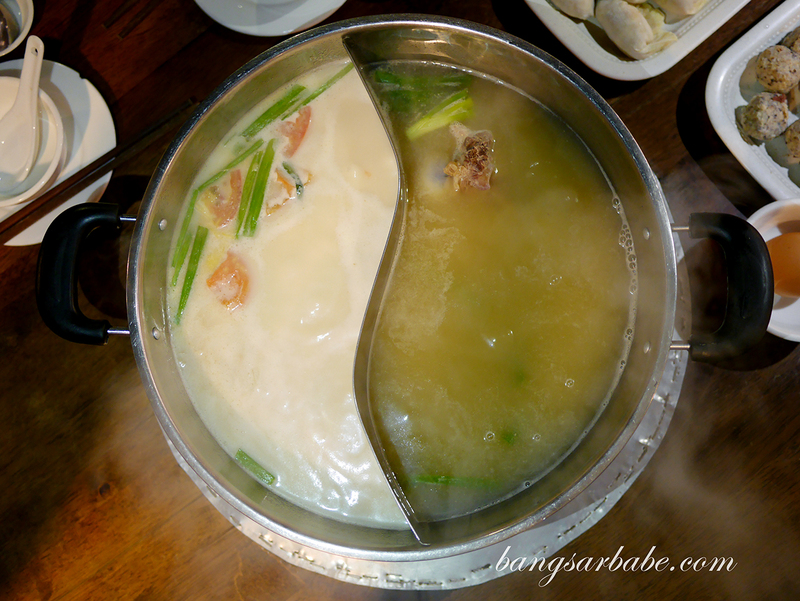 All in, my experience at Dragon Door Steamboat was quite pleasant. I liked that the food was straightforward and service was efficient. It’s definitely not your high-end steamboat place but a venue to consider if you want something hearty minus the pretentiousness. That way, you also pay less for the “décor and ambiance”. Verdict: Reasonable pricing and interesting charcoal pit concept. 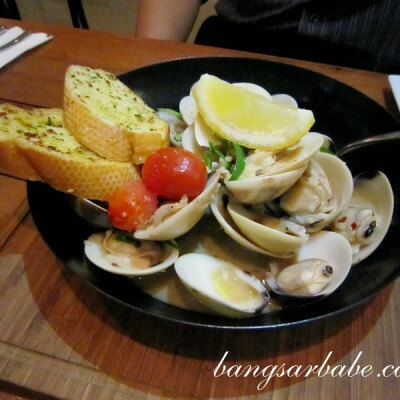 Try the pork soup and the fish head soup when you’re there.